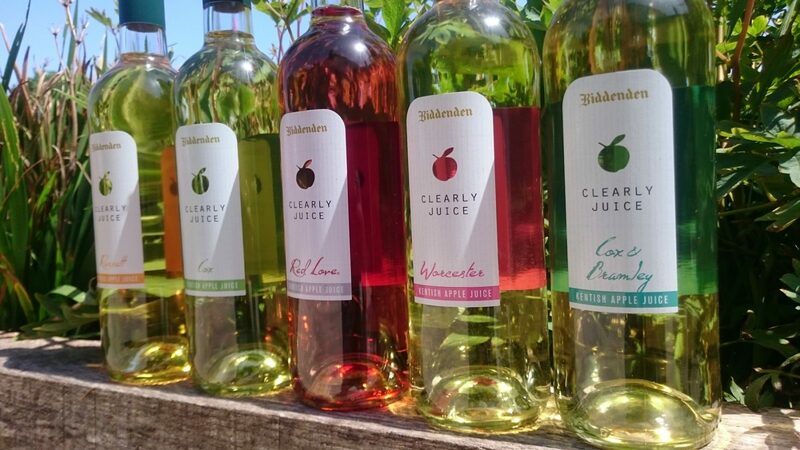 The name Clearly Juice comes from the colour of each juice flavour – full of vibrance and clarity. The name had to stay to differentiate from Biddenden’s other products, and to emphasise the quality of the product. It was an obvious choice to select a transparent bottle to show off the true colour of each juice. The range is premium; ideally targeted to the hospitality market including weddings and conferences. For those who aren’t drinking alcohol, it’s a soft drink which feels sophisticated and delicate. For the label design, Oak Creative always come up with several concepts before the customer chooses which they prefer. We believe it’s important to do this, to rule out what does and doesn’t work for a brand – it’s how we get our creative juices flowing to ensure we present the very best ideas to our clients. The Clearly Juice final design is a combination of 2 of the concepts we came up with, and we’re all delighted with the outcome. Oak Creative also co-ordinated the entire label manufacturing process too. We always use a trusted supplier who confirmed the design we’d proposed was achievable, and we liaised with them throughout to ensure a smooth process. In all, another successful label design project. You could say we really know our apples when it comes to label design. 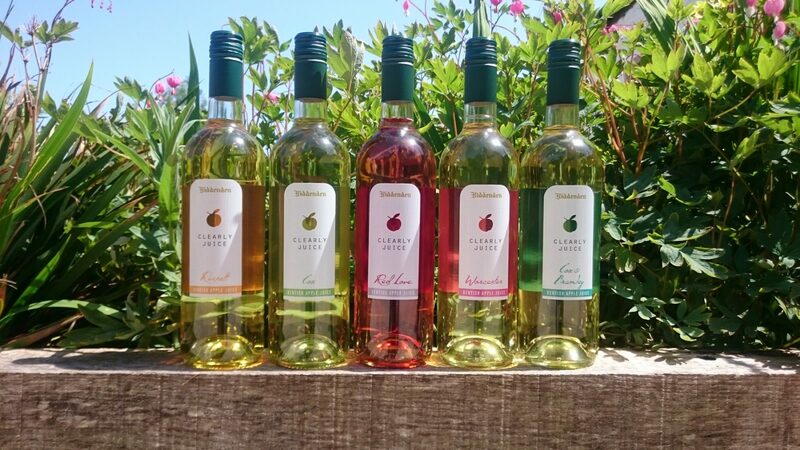 Check out the Biddenden Vineyards website for more information, or pay them a visit and see the vineyard in all its summer glory!